Designing and manufacturing luxury hotel and residence furnishings that tell unique stories, made out of passion and the research for the highest quality result? Cadore has been doing it since 1969. Even while operating in a highly technological production setting, the Treviso company implements its sustainable approach all the way to its internal environment, where women and men work together to achieve excellence worthy results, with the grace required for the finishing touches and the force needed to mold materials. 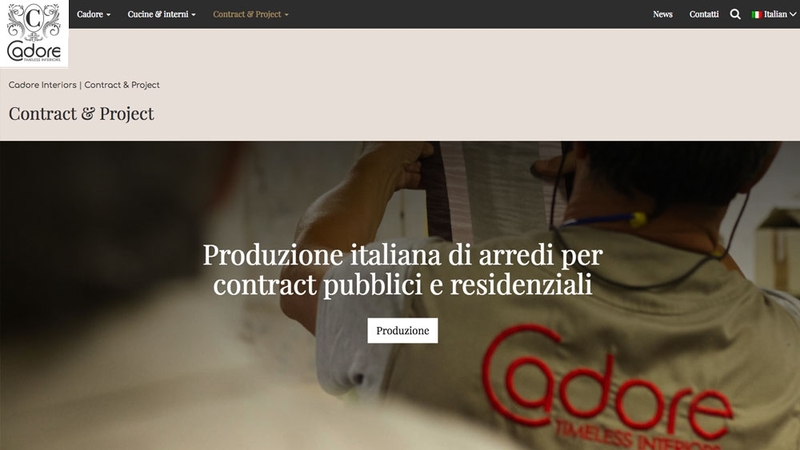 Cadore Group has chosen reMedia to revolutionize its digital communication in 2017. 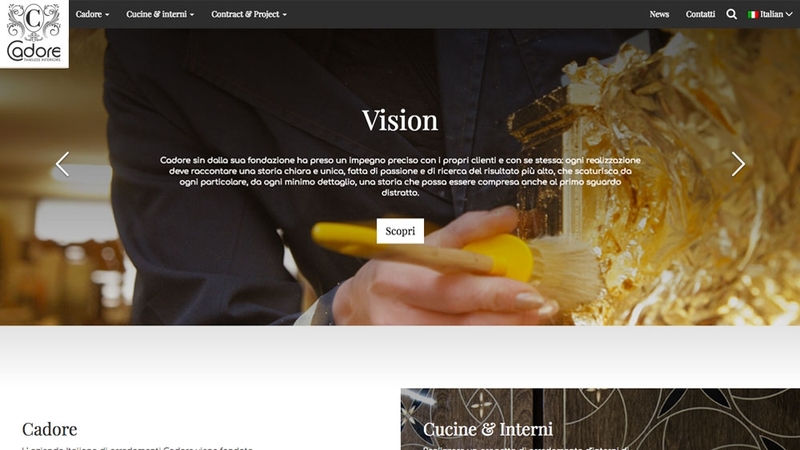 To the request for a simple redesign of the Group’s 5 websites, we have responded with a more ample and strategically structured overall view proposal, focused on the promotion of various operational areas of the company. 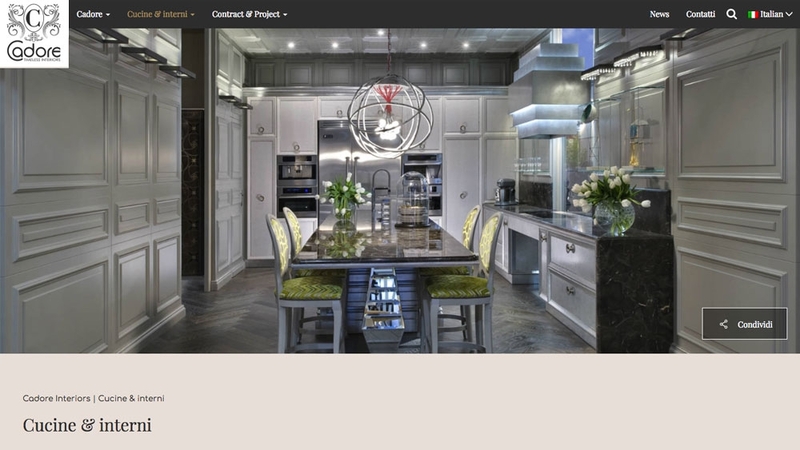 That is how cadoreinterior.com was born, a website that presents the brand to the global market, with a Kitchen& Interiors division and one for Contracts & Projects. The first one is dedicated to the showcase of unique and highly personal luxury furnishings design for residences, the latter highlights a flexible and functional production regarding the use of materials and technologies suitable for resorts and prestigious residences. 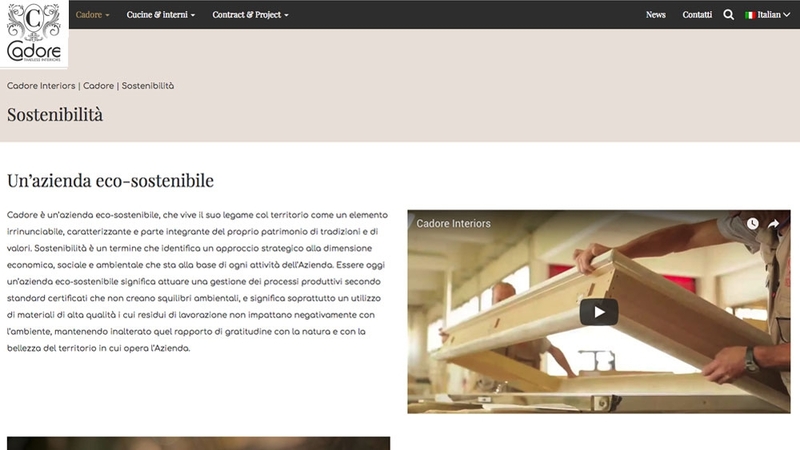 the Unit Lodge site, online storytelling on the design and production of wooden mobile homes, the result of eco-sustainable design.